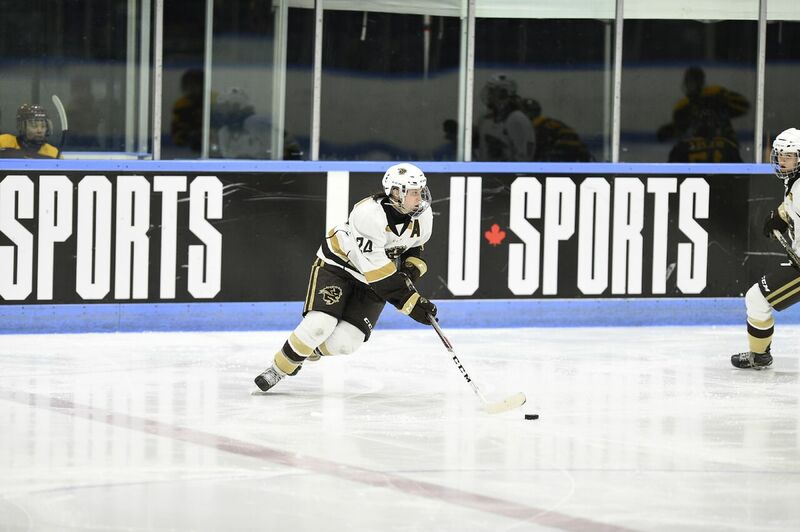 The top-ranked Manitoba Bisons are heading to the national final after a 2-1 shootout win over the Concordia Stingers on Saturday night at the U SPORTS Women’s Hockey Championship at Thompson Arena. The Bisons move on to the gold medal game tomorrow, while the Stingers will battle for bronze earlier on Sunday afternoon. 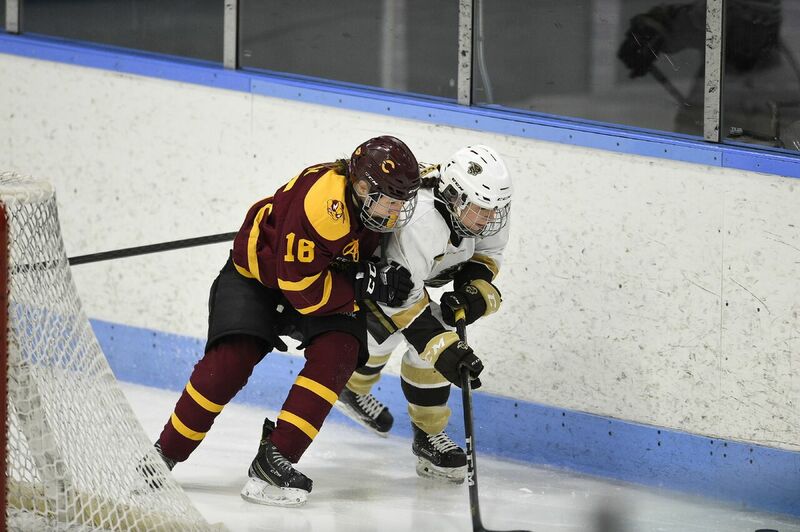 “Our girls have worked hard,” said Concordia head coach Julie Chu. “What we talked about in the locker room was that they have the opportunity to pull on the Concordia jersey tomorrow, and that’s something we all have a lot of pride in. And of course, it’s okay to have some tears today, it’s okay to feel disappointed that we didn’t earn the opportunity to go into a gold medal game, but it doesn’t take away from the tremendous season we’ve had up to this point. Sophie Gagnon provided the offence for Concordia with an early second period goal, while Lauren Warkentin tallied the Bisons regulation marker. Unsurprisingly, given the score, goaltending was a key factor on Saturday night, with both netminders keeping the opposing offence at bay throughout the contest. Katherine Purchase stopped 27 of 28 shots in the Concordia net, while Lauren Tarashuck turned aside 21 of 22 shots as both goalies earned player of the game honours for their respective teams. Neither team was able to solve the other in the opening 20 minutes, with Manitoba holding a slight edge, outshooting the Stingers 6-5. 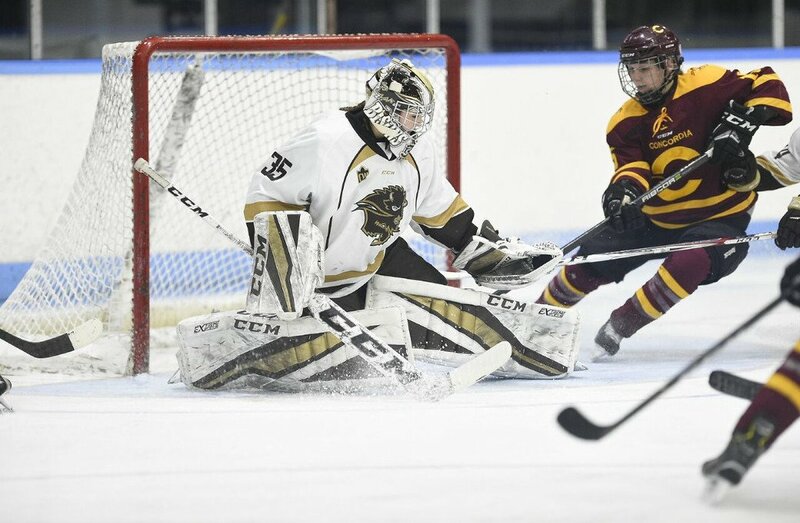 The deadlock didn’t last long as Gagnon opened the scoring 31 seconds into the next frame, stealing the puck in front of the Bisons net and making a nice move around Taraschuck and sliding a backhand shot across the goal line to put Concordia up 1-0. Manitoba responded a little more than six minutes later as the Bisons picked off the puck in the neutral zone before Venla Hovi sent a drop pass back to Warkentin who wired it into the back of the net to tie the game. Similar to the first period, the third passed without a goal to set up the second extra time finish of the day. 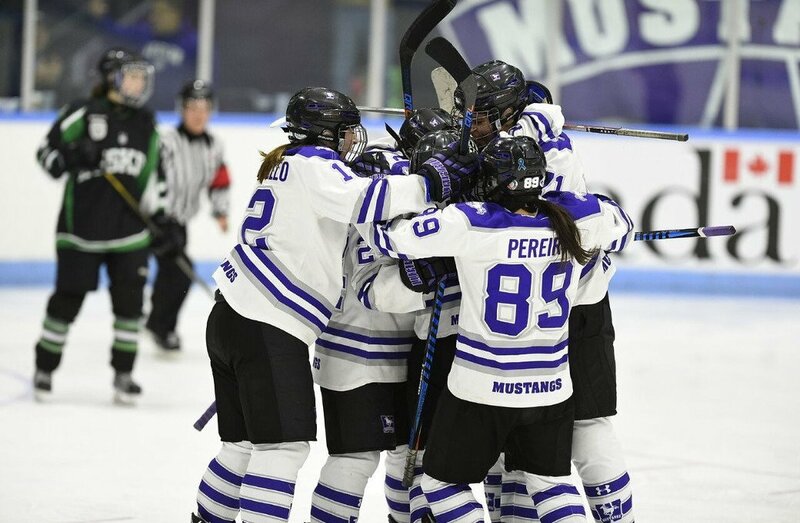 Overtime was a thrilling back-and-forth affair, with both teams trading quality scoring chances as they tried to break the tie and earn a trip to the national final. Both Purchase and Taraschuk were brilliant in the final period, making a number of key saves to keep the score set at 1-1 and ensure the game would be decided via shootout. Jordyn Zacharias and Alanna Sharman scored on the Bisons first two shots, while Taraschuk shut the door in net to give Manitoba a 2-1 victory. Manitoba will play in Sunday’s final, which is set for 4:00 p.m. ET/1:00 p.m. PT, while Concordia will play for bronze at 1:00 p.m. ET/10:00 a.m. PT.